1 Million Google TVs to ship by end of the year? According to Digitimes, Google will ship over 1 million Google TVs by the end of the year. We heard earlier that the Logitech Revue Google TV set top box had already been shipped to retailers, and 500,000 units were on their way to stores, so they might just reach this figure. That 1 million also includes TVs from manufacturers like Sony, and others who have already confirmed that they are producing hardware using Google’s TV software. We just have to see how it plays out. Google just announced that they were celebrating a milestone achievement of more than 3 million business that have “gone Google” by switching their software to do their work using Google apps. The other announcement is the one we are concerned with. That Google Docs will soon be editable on Android and on the iPad. This is great news for people who are on the move and need to edit Google Docs, but don’t have access to a computer. With Google Docs being editable from your phone and tablet, it’s going to raise the app’s productivity to a whole new level. 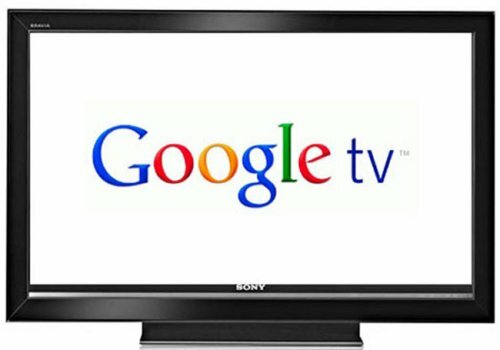 We know that Google TV is scheduled to arrive sometime in the fall. Now a leaked Best Buy document shows that the original launch date was October 3rd and has now been pushed back by two weeks, pointing to an October 17th launch date. It makes sense. Best Buy is an official partner for Google TV and these dates are close to the upcoming holiday season, so there may just be something to this. Microsoft’s Bing search engine has just overtaken Yahoo and is now in the second place spot for search engine’s in the US. That means it is now going to go up against Google, the top dog. At least according to The Nielsen Company. In August alone, Bing grew from 13.6 percent to 13.9 percent of the US search market. Yahoo declined from 14.3 percent to 13.1 percent. While Google’s share went up from 64.2 percent in July to 65.0 percent. Google shouldn’t worry though. 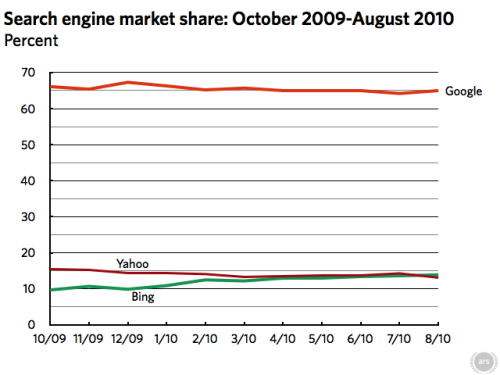 With Bing and Yahoo combined, their search share of 27.0 percent is still less than Google’s. If you purchased the Samsung Fascinate from Verizon, then surely you have noticed that the phone comes standard with Bing instead of Google, and getting the Google Search application installed is a pain. This is because Verizon and Microsoft have entered a multi-device deal to promote Bing. This might not be a deal breaker to most, but to some of us it’s pretty annoying. To anyone who prefers Google’s search engine to Bing, it is annoying. At least we have some good news. According to a Verizon Wireless spokesperson, when the Fascinate is updated to Android 2.2, users will be able to download the Google Search application to get easy access to Google’s search, but the downside is that users will still be unable to change the default search setting from Bing to Google. There are many reasons why someone might want alerts sent to their desktop rather than only on the phone. For instance, my wife likes crappy music and it drives me crazy to hear it. She also gets 10 million texts per day so when she is wearing her headphones I end up hearing the text alert on her phone all day. If she was using an Android device and a Mac or Linux computer a new application is available called Android-Notifer that would take those notifications for calls and texts and send them to the computer. The app sends notifications to the PC via Bluetooth or WiFi right now. I know in some big cities like San Francisco and New York City, walking is one of the most common ways for people to get around. The trick for people who aren’t familiar with the city and need to walk somewhere is figuring out which way to go to get around. 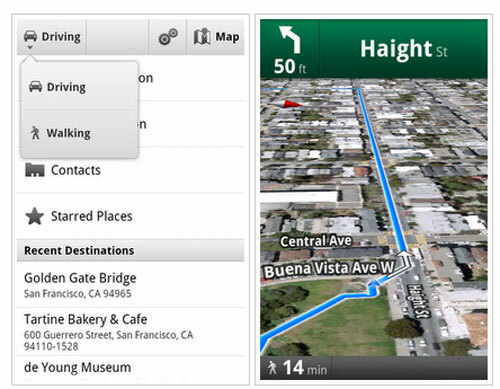 Google has unveiled a new beta application for Android phones using Google Maps for mobile 4.5 called Walking Navigation beta. The new application works like the GPS driving directions only it takes into account pedestrian walkways to route people on foot. We all knew that Android was going to hit TVs in a big way and now things are starting to happen. We already have an Android powered set from Lava, and now Google has designs on your television too. Samsung is thinking about Android for its sets and the Google TV service is on track for launch this autumn. Samsung’s plans are uncertain, however about half of the company’s 3-D TVs have web browsers, and that figure will increase over the next couple years. A new trademark filing by Google shows that Google has trademarked the name “Speedbook” under computer hardware. A speedy notebook? A speedy eReader? A book laced with cocaine? It could be any of the above. 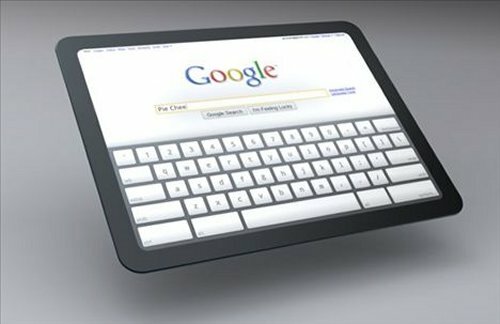 It is likely an upcoming tablet or netbook powered by Google’s Chrome OS. We don’t have any actual details on what the Speedbook might be, until Google decides to fess up and tell us. We’ll keep our eyes and ears open. 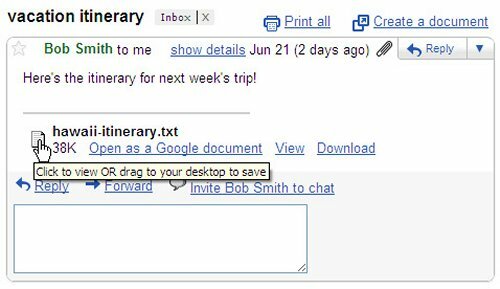 Gmail has just become even more useful. Google now allows voice calls to another phone using Gmail. Now, that is pretty useful. 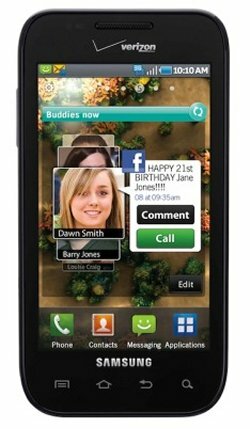 It will be free if you place calls to the US and Canada until January 2011. Phone calls to other countries will be billed at “very low rates”. Talking with family and friends in the U.K., France, Germany, China, India, Mexico and other countries is as little as $0.02 per minute. 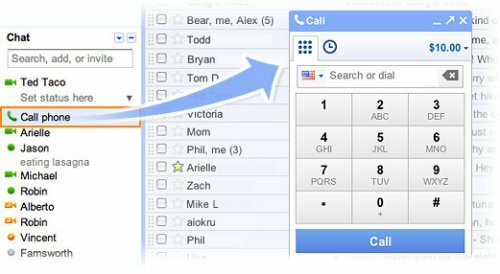 Just dial a number like you normally do and click “Call phone” at the top of your chat list. Only US Gmail users will be able to use it over the next few days. You just have to install the voice and video plug-in. The agreement could give Verizon the ability to do whatever it wants when it comes to managing wireless broadband, through mobile hotspots or Android handsets. GMail has got to be one of the most useful email services around and that’s because they are always working to improve your experience. Now Google has made another tiny, but extremely useful improvement to its Gmail service. Those using Google Chrome will be able to drag attachments out of messages to save the attachment directly to your computer. Just click and drag the file that you want to your desktop, and it will be saved. They had previously introduced drag and drop as a method to attach files to Gmail. Google is very secretive about how it decides what sites come up first on any given search. The formula changes regularly to keep people from figuring it out. It’s about to get even harder to predict. A new patent filed by Google on Tuesday would allow Google to analyze information about where on a page users hover their mouse cursor. The idea is that this will show the search giant what people were interested in, but didn’t actually click on. Sound insane? It does to me. If you are typing, your cursor is just left in some random spot on your screen most likely. Farmville, Mafia Wars, and other games cost you a lot of time and productivity. They have now cost Google over $100 million. TechCrunch is reporting that Google has invested between $100 and $200 million in Zynga, the social gaming behemoth behind those games mentioned. Google is preparing for the launch of Google Games later this year. TechCrunch’s sources say that Google’s goal with this purchase is to chip away at Facebook’s social media dominance. It will be interesting to see what comes from this. Apparently Google wants to take on Apple’s iTunes with the next Android 3.0 update which should be released before the year is over. Google Music should be released along with Android 3.0 and it likely will have something to do with the recently acquired streaming service Simplified Media. Itunes could use some competition and if anyone can do it, Google would be the company. It should be interesting to see what happens. It won’t be easy.